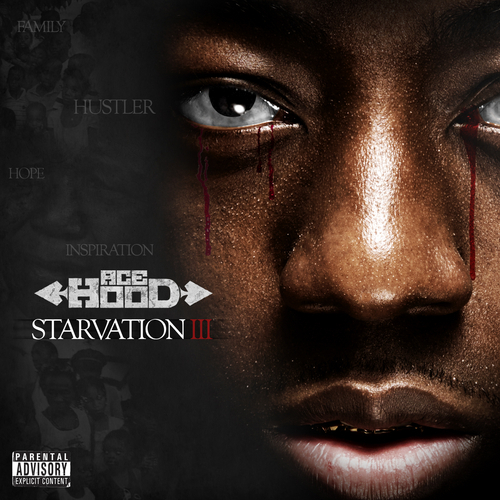 Ace Hood unleashes the 3rd installment in his popular “Starvation” mixtape series. This 14 track offering boasts limited features from WE THE BEST brethren VADO and MAVADO as well as Kevin Cossom. On the production end, it wouldnt be an Ace Hood mixtape without Reazy Renegade, Streetrunner, Cool & Dre, Beat Bully, The Mekanics, Beat Billionaire, and Ben Billions. Back to the release for his 4th studio album Trials And Tribulations in July last year.Ace Hood has announces the 3rd installment to his EP series Starvation will be dropping on January 17th.